Yes you heard it right, ‘Sachin: A Billion Dreams’ will treat the fans of Sachin Tendulkar by showcasing the romantic side of Sachin. Fans of the god of cricket Sachin Tendulkar will witness the romance of Sachin with his wife Anjali. 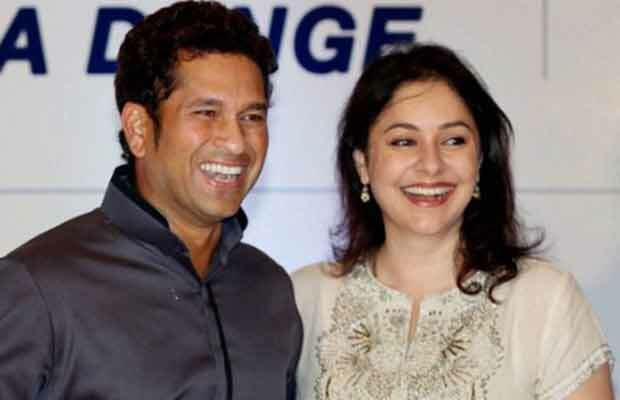 Very few people know about Sachin’s relationship with his wife and family as he is a very private person. But the film will bring the romantic side of the master blaster on celluloid. Initially Sachin and Anjali were reluctant to showcase their real life romance onscreen, but however, both of them obliged for the love of the fans. Sachin: A Billion Dreams encapsulates the unknown side of Sachin Tendulkar and has created all the right noise and alacrity amongst not only Sachin’s fan but the audience’s across the globe. The recently released Sachin Anthem has created a rage on all platforms and has added to the anticipation for the movie. The film, ‘Sachin: A Billion Dreams’ traces the journey of Sachin Tendulkar who lorded the pitch over his brilliant 24-year international career and represented the hopes and aspirations of millions of people across the country. Produced by Ravi Bhagchandka of 200 Not Out and Shrikant Bhasi of Carnival Motion Pictures, Emmy-nominated James Erskine, ‘Sachin: A Billion Dreams’ is all set to release on 26th May 2017. Previous articleJustin Bieber Took Something Special From India That Has A Connection With Salman Khan! Next articleTwinkle Khanna’s Daughter Nitara Reveals Her Mom’s Real Age!